Backblings are a type of cosmetic items (skins) in Fortnite Battle Royale. They take the form of a backpack or of another type of object that is displayed on your character's back. Note: "Back Blings" are cosmetic items and are a different category from Backpacks which are actual equipment. Back Blings are often offered as season rewards for the Battle Pass. For example, Astro is a Season 3 Reward when you reach tier 47. Fish Tank from the Leviathan skin. Scaly from the Rex skin. Love Wings from the Love Ranger skin. Six String from the Power Chord skin. If you buy the Rogue Agent Starter Pack you get the Catalyst Back Bling. 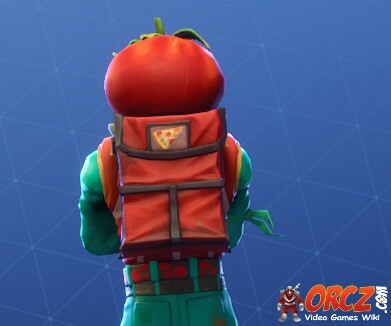 If you buy the Wingman Starter Pack you get the Bogey Bag Back Bling. On rare occasions, Back Blings can be purchased directly from the Item Shop. This page was last modified on 10 January 2019, at 20:52. Content is available under Creative Commons Attribution Non-Commercial Share Alike unless otherwise noted.